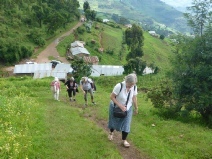 In our November newsletter it was reported that, following a Trustees’ visit to the Batwa communities at Rwamahano and Murubindi, it was apparent that various major improvements were needed for them to provide adequate protection for the children during the extreme weather conditions associated with the communities’ locations. 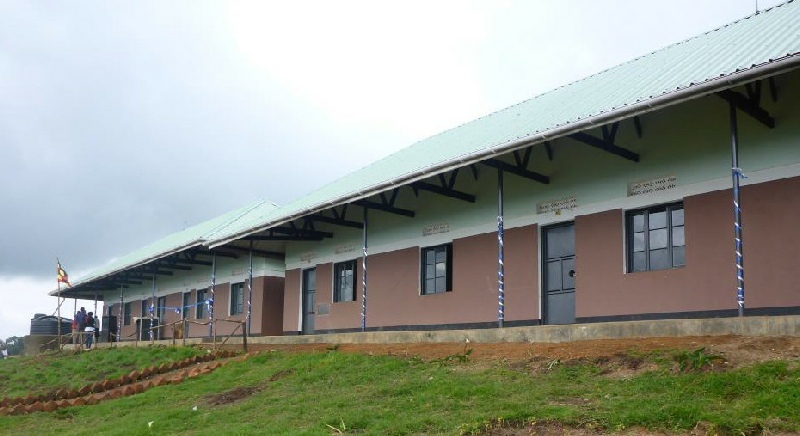 This was especially true for the timber classroom building at Rwamahano. This school currently has approximately 140 primary age children attending school and Murubindi has 88 and these numbers are rising. 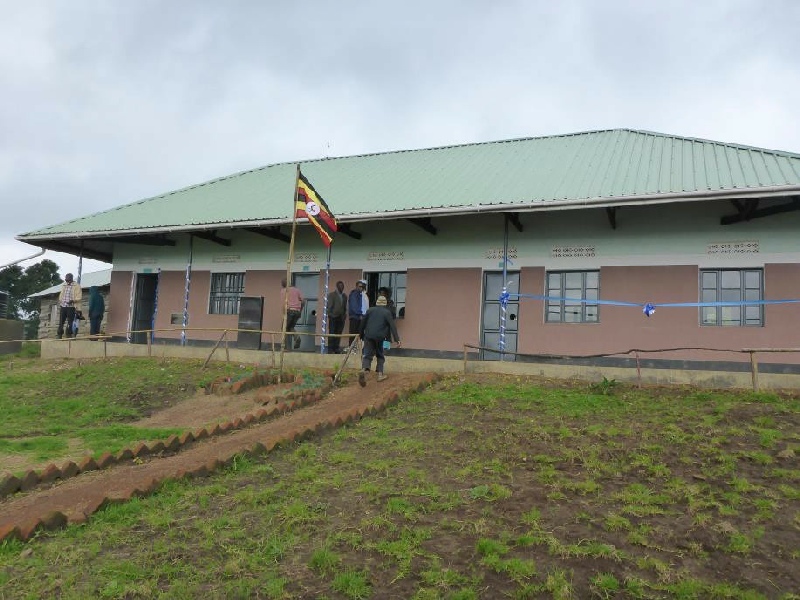 However, this was only a temporary solution, and in July 2016, FAICM launched an appeal to raise sufficient funds to construct a new brick building providing four classrooms and a head teachers office at Rwamahano. Plans were prepared by one of our trustees and this formed the basis of our appeal. A team of trustees researched the various trusts and grant funding bodies, launched internet appeals, spoke to friends and supporters and held various fund raising activities. 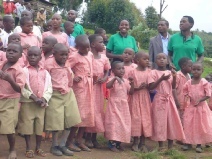 We were greatly encouraged early in the fundraising process when a funder was found who was prepared to match fund the project so every pound we raised was worth two. Meanwhile, Mike Peachey sent out his plans to recommended builders in Kabale interested in tendering the contract. Receipt of the tenders provided a better idea of how much we needed to raise, as it was impossible to know how much the difficulties associated with the site location, in getting labour and materials to it would cost. 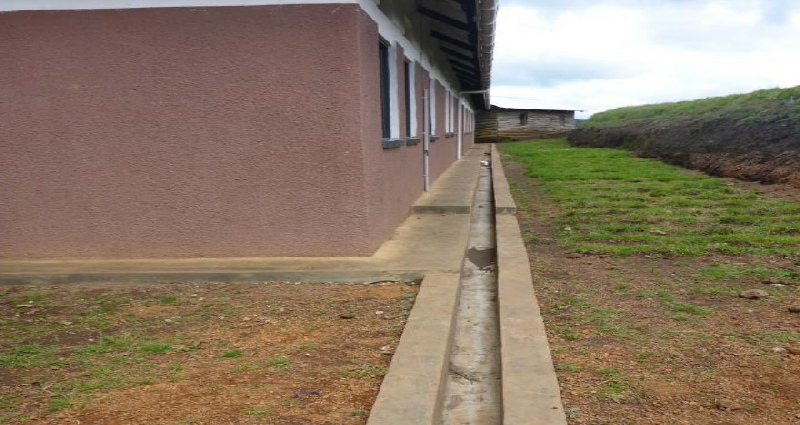 The tenders were reviewed in detail and then in February 2016, Mike and Colin visited Kabale to interview the best two contractors. By this time we knew we had raised £46,000, with promised gifts still to come, and were in a position to appoint a contractor. After a gruelling week of site visits, meetings with contractors and AICM Board of Directors, we were all in agreement on the best contractor and he was duly appointed. After a couple of weeks getting the contract document together and signed we are pleased to confirm that works commenced on 12 April 2017. 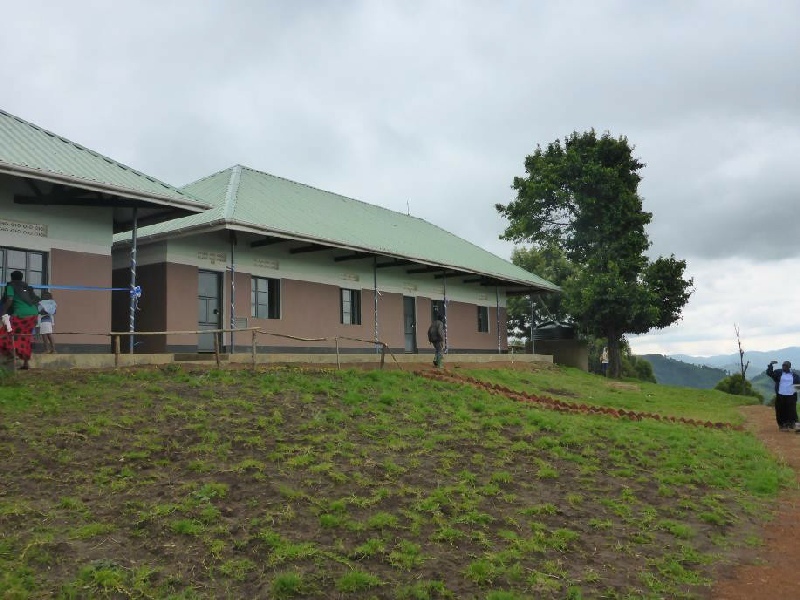 Completion is due in about 5 months with a further visit to Kabale planned for September for handover. We praise God for the generosity of our many supporters without whom this much needed building would not be a reality. A big thank you to you all. 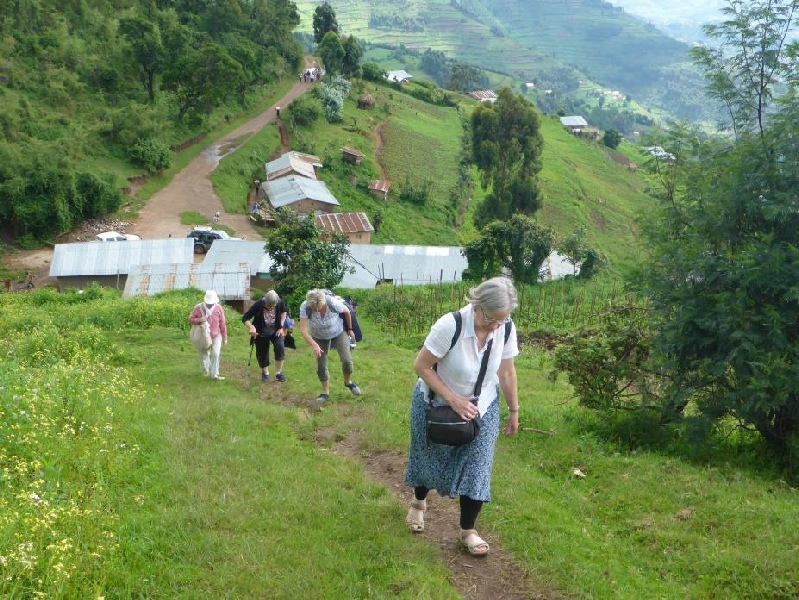 We are also very aware of similar needs of the Batwa community at Murubindi and will be looking to continue our fundraising to provide them with a similar building. The foundations complete and concrete floor slab being laid. 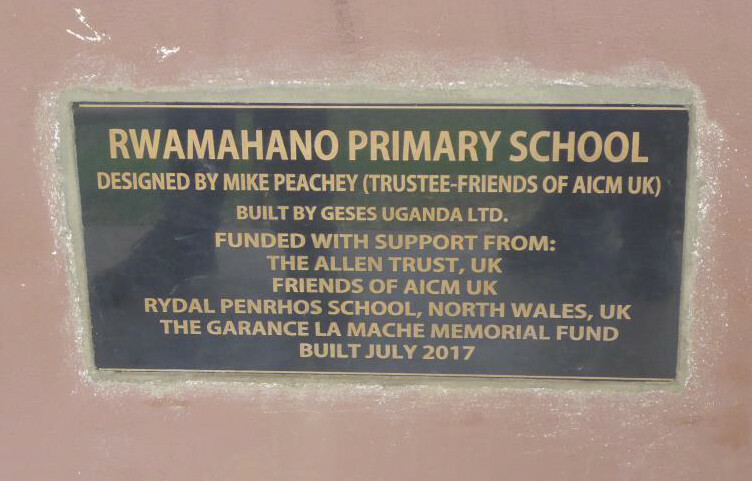 Late May saw eight intrepid travellers set off for Uganda to be present at the official opening of the newly built school at Rwamahano. 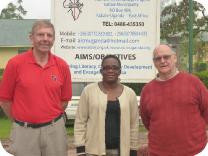 Three of them were Mike Peachey with Sue and Colin Townsend, who are all trustees of FAICM, accompanied by Rev Nick Wooldridge, a regular team leader for the annual St Ebbe’s visit to AICM. 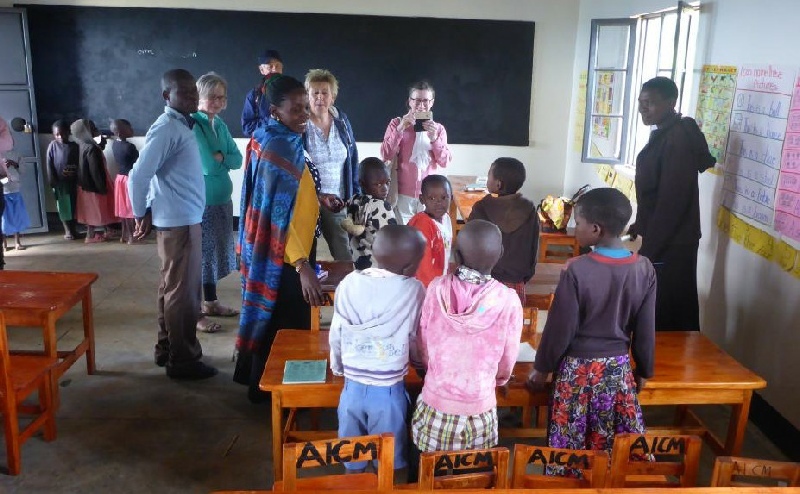 They were joined by Marc Schyrr, Friend and donor of solar audio bibles, Jenny Insch and Mary Tudge, two primary school teachers at Stanton Harcourt School, Witney, and Edith La Mache, mother of the late Garance in whose memory some funding was raised for the school. Below are photos associated with the event, which can be enlarged by clicking on them. 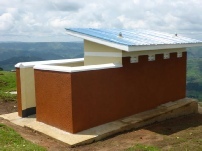 The toilet block was a necessary, if somewhat late addition to the original plan. To remind everyone, this complex was designed and monitored by Mike Peachey, and funded by our many supporters with a major contribution from The Allen Trust.